I think I have a Poladroid problem! I still think that Boyfriend's camera takes gorgeous photos but I can't seem to stop myself from taking photos that I know will look great when made to look like Polaroids - is that a bad thing? 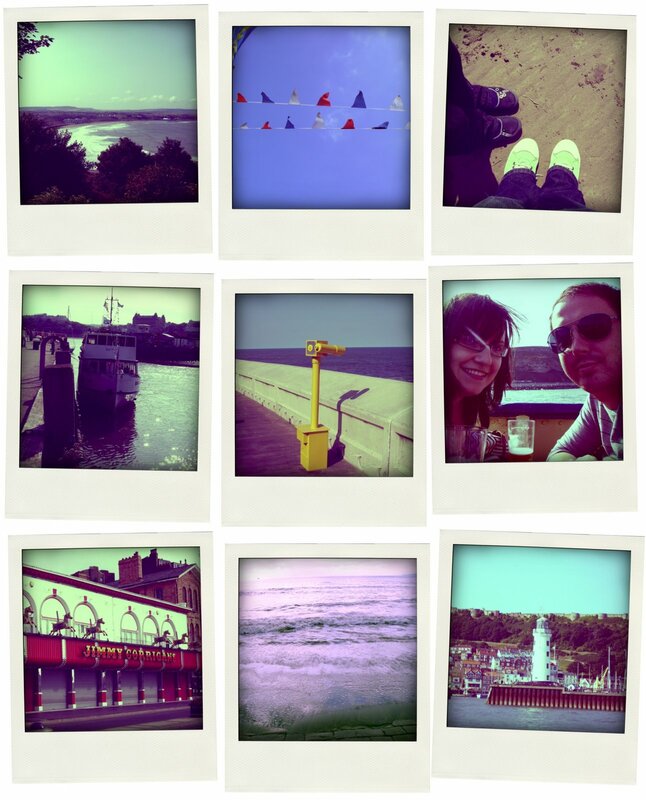 We had such a lovely time in Scarborough: the weather was gorgeous, we had icecreams, we went on a sea cruise, we had fish and chips on the sea front, played on the 2p machines and we walked across the beach... I have never seen so many seagulls in one place before though and they were huge!